Whether you’re a teen who’s a few years into her menstrual cycle or you’re a woman struggling with the aches and pains that come from perimenopausal bleeding, there’s one thing that nearly all women have in common: menstrual cramps. Menstrual cramps are the often brutal spasms and pains that show up like clockwork each month as you go through your menstrual cycle. Menstrual cramping, known by the medical term "dysmenorrhea", can last anywhere from one to two days before a period begins to the entire length of the period. However long they last, menstrual cramps can be debilitating. What exactly are menstrual cramps? Menstrual cramps are the gripping pains in your abdomen that happen as your uterus contracts and expels its uterine lining during your monthly cycle. Prostaglandins are the hormone-like substances that actually cause the pain and inflammation in the uterus, creating pockets of intense soreness that seem to undulate and stretch their way from your abdomen to your thighs. Cramps can be extremely painful and exhausting, causing many women to miss work and school so that they can recover. What are some common remedies for cramps? At the first sign of menstrual cramps, many women reach for the ibuprofren, the OTC anti-inflammatory and NSAID used to treat conditions like headaches, wounds and cramps. While they’re certainly effective, many women are looking for something more holistic and natural to treat their pain. One all-natural method that seems to work well is the use of heat. A heating pad or a hot cloth placed over the abdomen helps relax the uterine muscle and halt the spasms, providing almost instant relief. Carrying a heating pad around isn’t always an option, so many women have turned to essential oils. How do you take essential oils for menstrual cramps? There are several different ways you can take essential oils. If you’re going to be inhaling your essential oils for treatment, they’ll have to be diffused. A nebulizing diffuser is considered one of the best tools you can use to get the full therapeutic effects of your oils. It’s said to provide the most pure dispersal of an essential oil’s scent and healing properties. Nebulizing diffusers also allow you to control the amount of oil that’s released during use. Topical application means that you’re going to be applying the oil directly to your skin via direct application or through methods like a hot bath. Taking a bath in hot oil-infused water allows you to enjoy heat’s pain-relieving qualities. There are very few essential oils that can be ingested. If they are, they’re either mixed into teas or delivered via tinctures. Most essential oils are toxic if ingested, so check with your doctor if you’re planning on taking any oils internally. The following is a list of essential oils that may help alleviate menstrual cramp symptoms. The most UNIQUE and AMAZING SMELLING Sweet Orange on the market, in our opinion. If you are not ABSOLUTELY amazed, receive a full refund from the manufacturer, Healing Solutions, no questions asked! The most UNIQUE and AMAZING SMELLING Citronella on the market. If you are not ABSOLUTELY amazed, receive a full refund no questions asked! Lavender oil is one of the most popular essential oils due to its heady intoxicating scent and its proven therapeutic properties. It’s been hailed for its ability to treat pain while promoting intense relaxation. The sedative and pain-relieving characteristics of lavender help make it an ideal choice for treating menstrual pain since many women struggling with cramps find it impossible to sleep at night. Lavender oil can also help with symptoms like headaches, an extra boon for women who experience intense migraines during their menstrual cycles. Massage three drops of lavender oil directly into your skin. Inhale it by way of a diffuser. Drop 15 drops of oil into your diffuser, and allow it to fill your space with the scent. Peppermint oil is known to successfully battle insomnia. It’s also frequently used as a pain reliever and an anti-inflammatory, perfect for women suffering from menstrual cramps. When peppermint oil is administered, the effects are almost instantaneous, helping menstrual cramp sufferers find relief fast. Massage two drops of peppermint oil deep into the skin on the back of your neck. You can apply it straight, but if you have very sensitive skin, you should mix it with a carrier oil like coconut oil. You can also add about 10 drops to 15 drops of peppermint oil into a diffuser. The strong scent can help you sleep while simultaneously decreasing tummy upset. The delightful citrusy scent of orange oil does an amazing job of helping out with the psychological effects of menstrual cramps. It gives sufferers a psychological boost, elevating their moods and making them feel more relaxed. Once orange oil used, the effectst are almost instantaneous, with many women feeling more relaxed within short period..
Add 10 to 15 drops to your favorite diffuser. Allow the scent to fill your room as you lay down, and enjoy the restorative, relaxing effects. Ylang Ylang oil has several amazing benefits. It has mood-enhancing properties, making it perfect for women who are going through the intense stress of menstrual cramps, while its antiseptic properties help with the acne breakouts that frequently pop up during menstruation. Apply ylang ylang oil directly to your skin straight on its own or mixed with a carrier oil. Add 10 drops of ylang ylang oil to a floral mixture blend for an intoxicating, relaxing aroma. Eucalyptus oil is known for its anti-inflammatory properties. It helps reduce the severity of cramps, and it also has the ability to increase your energy levels while elevating your mood. In addition to managing pain, it helps with other ailments like fever, cough and headaches. Rub a few drops of eucalyptus oil directly onto your abdomen. After a while, you should see your cramps and discomfort start to subside. Black pepper essential oil comes from the piper nigrum woody vine in the piperaceae family. It’s an amazing weapon against pain, and it also helps warm the body by improving circulation. It can also help reduce the amount of bloat, a major issue for many women during menstruation. Mix black pepper oil with a carrier oil. It must always be diluted because it’s a rubefacient oil, meaning that it can irritate the skin and mucous membranes. A few drops of the mix on your abdomen can help get rid of pain and cramps. 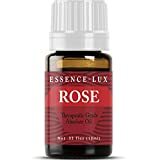 Rose oil is an essential oil that is great at controlling the pain and discomfort that comes from menstrual cramps. It stops or minimizes cramps before they become really bad by targeting the hormones that cause them, stopping them in their tracks and minimizing their intensity. Add in rose oil’s antidepressant qualities, and you’re knocking out many of the major symptoms of PMS, including menstrual cramps and emotional lows. Place about 10 drops of oil into a diffuser, and allow the scent to envelope your space. You can add it to your favorite cream before applying it topically directly to your abdomen. Clary sage comes from the clary sage plant native to parts Asia and Europe. It’s been used over the centuries to treat eye-related conditions and mental issues. It is an extremely popular essential oil in the treatment of menstrual cramps. It works brilliantly thanks to the fact that it’s an antispasmodic agent, reducing the frequency and intensity of spasms. Since menstrual cramps are spasms, clary sage can be used at the first sign of cramping. Mix a couple of drops of clary sage with about 10 ml of sweet almond oil. Take the oil and rub directly onto your abdomen where you’re experiencing cramps. You can also take a hot bath with the mixture to, soaking in the steaming water as the blend absorbs into your skin. Roman chamomile, like clary sage, is an antispasmodic essential oil. It cuts down on the intensity of menstrual cramps so that you can function through the day and night. It also has sedative qualities that calms the central nervous system and helps you relax, allowing you to rest or sleep peacefully. Add a few drops of oil to your favorite relaxing tea, and sip it slowly so that your body has time to absorb the full effects. Roman chamomile oil is one of the only essential oils you can ingest. Add a few drop of Roman chamomile to your diffuser. You can pair it with some of Roman chamomile’s complimentary oils, including the above-mentioned rose and clary sage. Citronella oil is an antispasmodic oil that reduces or eliminates the pain that comes contractions that cause menstrual cramps. Apply a few drops of citronella oil directly onto your abdomen, rubbing it in before laying back and waiting for the effects to take place. In addition to targeting cramps, the oil’s scent should help you relax. Made from orange blossom flowers, the intense, heady scent of neroli oil is excellent for helping women with menstrual cramps feel calm, relaxing the muscles in their lower abdomens and reducing the likelihood of their muscles cramping up. Mix neroli oil with complimentary oils like ylang ylang and rose oil. Rub the mixture directly onto your abdomen. Add about ten drops of oil into a diffuser. Allow the scent to lull you into a more relaxed mood. Cinnamon oil has amazing anti-inflammatory properties that easily help get rid of many of the symptoms relating to menstrual cramps, including headaches, soreness and irritability. Cinnamon oil has sedative properties that allow you to relax your body easily. You’re then able to relax your abdomen muscles, reducing the likelihood of or intensity of cramps. Rub a few drops of cinnamon oil directly onto your abdomen, massaging gently in the areas where you feel the worst cramps. Add a few drops of cinnamon oil to your diffuser, allowing the scent to fill the air and calm you down. Using essential oils can be a very effective way to deal with the pain and discomfort associated with menstrual cramps. As with anything used for health, check with your doctor before you begin any sort of regimen, including regimens that use holistic medicines and ingredients. You always want to make sure that you have no underlying conditions that could adversely affect the use of these oils.